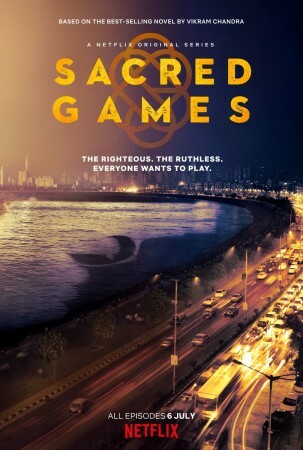 India's first original Netflix series Sacred Games is directed by Anurag Kashyap and Vikramaditya Motwane and is based on a book by Vikram Chandra. 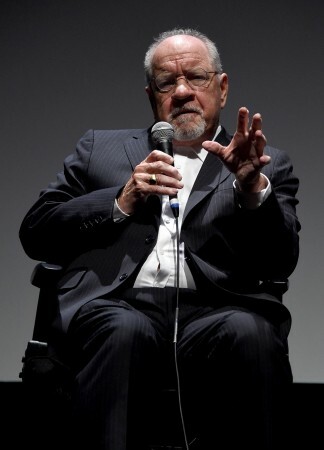 American screenwriter Paul Schrader, well-known for working on Martin Scorsese's Taxi Driver and Raging Bull, has seen India's first original Netflix series Sacred Games in English and now wants to watch it in Hindi with subtitles. Schrader took to Facebook to express his opinion. He wrote: "Watching 'Sacred Games'. I'm reminded of how tricky is the use of English language vulgarity. The show is peppered with 'motherf***ers' and 'c**ts', but the rhythm is wrong, like school kids trying out grown-up profanities. This is true not only of Indian movies but Indian slang in general. They know the English words but they don't know the idiosyncratic rhythm behind their usage." The crime-thriller series is directed by Anurag Kashyap and Vikramaditya Motwane and is based on a book by Vikram Chandra. The story revolves around Sartaj Singh, a seasoned and cynical Mumbai police officer, and shows the hard truth about organised crime, corruption, politics, and espionage. Chandra had urged Schrader to watch the series in Hindi. Replying to Schrader's post, he wrote: "Mr. Schrader, I wrote the (English) novel on which the series is based. Please watch the series in Hindi with English subtitles. Indians use English with the rhythms of their own languages underlying the English. Not defending the dub (which I think is awkward), mind you, but American rhythms aren't 'natural' to English any more than Indian ones." "Indians own English now as much as anyone else, and they use it variously – there are regional Englishes within India (Hindi English, Kannada English, Punjabi English). Anyway, switch to the Hindi audio, and I hope you enjoy," he added. Schrader replied to Chandra saying, "I read your book which is why I started the series. Looking at the menu, I missed the Hindi option. Will correct." The overexcited Chandra then replied, "Great. It's immensely important to me (and the entire Phantom Films crew) that you – of all people – watch the series in the best manner possible. I've been a huge fan of your work since I snuck out of class in the late seventies to watch 'Taxi Driver', and had a life-changing experience in a Bombay theatre,"
Sacred Games stars Saif Ali Khan, Nawazuddin Siddiqui, and Radhika Apte.